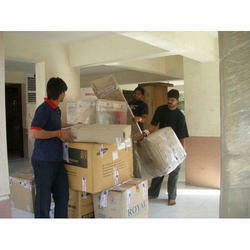 We are a leading player for packing and moving in India, and known for our effective and prompt services. Our services have carved out a niche for ourselves in the national market for our better relocation in India. First of all, we aptly do packing work by utilizing the best possible materials. Innovation is our forte and we are engaged in rendering Goods Unpacking Services to our customers. These services are rendered with the help of modern tools and machines by our professionals to ensure no damage to the consignment. Furthermore, these services are rendered at industry leading prices in timely manner. As soon as the goods reach clients' destination, they need to be placed properly; considering this, we offer Unpacking Services. The unpacking of household or commercial goods are handled with extreme care and safety. Our personnel are proficient in providing these services irrespective of the size & weight of the items or other factors. 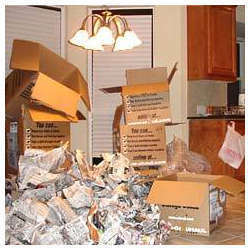 We are involved in providing the Unpacking Services. It helps a person to get back to a normal life as quickly as possible. It includes not only the unpacking of boxes but also the complete removal of packing materials following the unloading process. The team of trained professionals also arrange the items at client’s offices, house or store. Apart from offering effective office shifting, we also offer excellent Unpacking Services. For hassle free and smooth transit we have employed the best and highly professional experts. They handle the goods with caution until they reach their destination and then unpack these carefully. In addition to this, these experts also rearrange the items as per client's preference. International standard packing materials such as Cartons, boxes, tapes are used by skilled laborers to pack and seal the goods depending on the nature of the goods whether they are office goods, commercial or household items. All packaging is done with utmost care and separate log sheet on every package about its contents is stamped to save time while unpacking the same. We unpack all the goods at the destination with our skilled staff. We do all the job very professionally & with almost care.